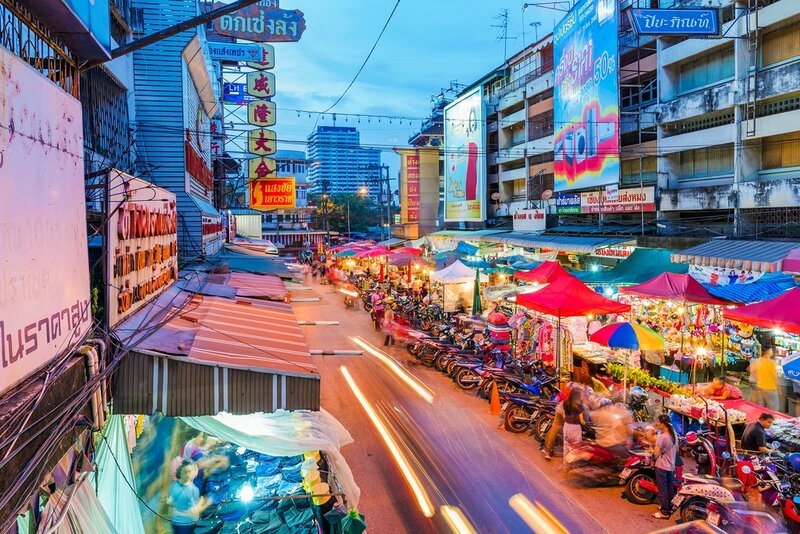 Your first day on the ground starts in the beloved northern city of Chiang Mai, where you'll share the streets with tourists, tuk-tuk drivers, and orange-clad Buddhist monks. If you arrive early enough, spend some time exploring Chiang Mai today, starting with the Wat Srisuphan, or Silver Pagoda. 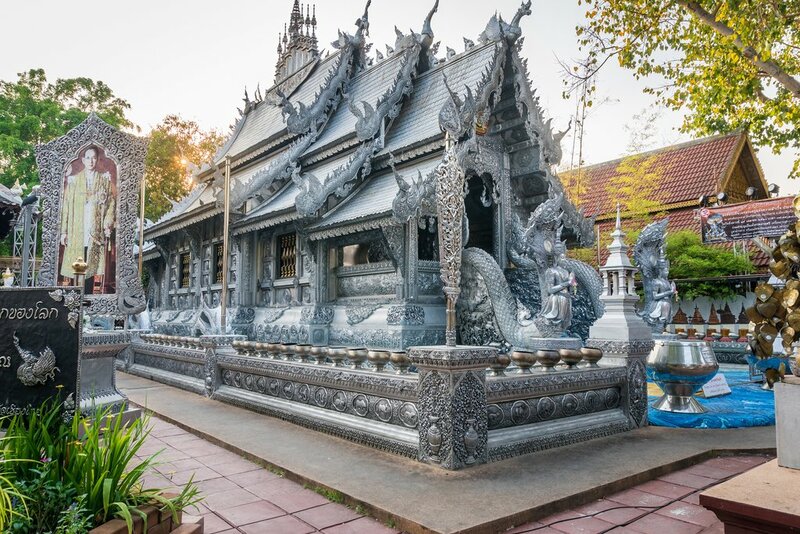 Ancient Buddhist rules mean women can't go inside the temple, but the ornate, pressed silver facade is worth your time. 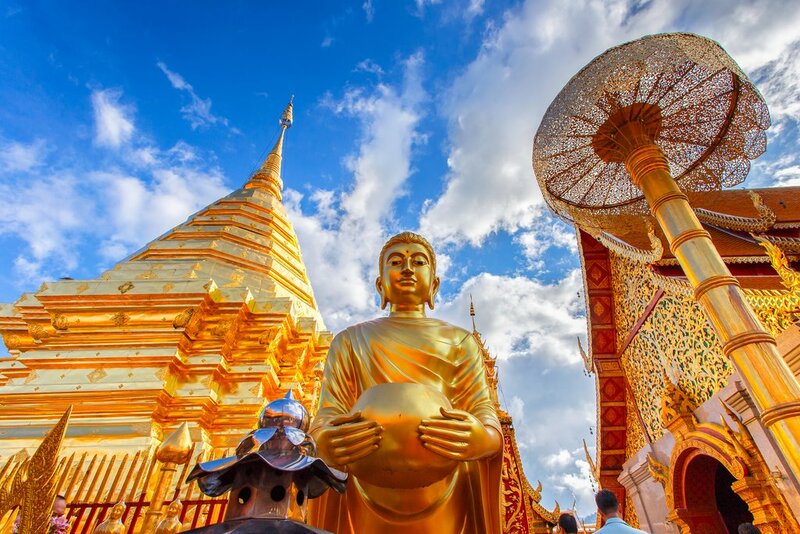 Other well-loved attractions in Chiang Mai include the pagoda of Wat Chedi Luang and the Bo Sang Handicraft Village. As day turns to evening, indulge in a very traditional northern-style dinner (perhaps with a dish of Som Tum, a limey veggie dish dosed with fish sauce, or the minced meat and herb salad known as Larb) at one of Chiang Mai's many traditional restaurants. After dinner, head to the Chiang Mai night bazaar where vendors sell hand-painted fans, delicate paper lamps, embroidered pillowcases, tiny buddhas, and everything in between. After breakfast, drive out of the city and up to Doi Suthep Mountain for a hike to the temple ruins. This is an easy hike over rolling hills and along a ridge covered in pine trees and wild lilies. Halfway up, you'll pass through a Hmong village; this is a great place to pause and try some local coffee. Once you have your caffeine fix, continue your trek to the original 800-year-old temple ruins. 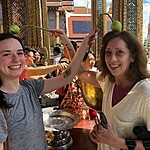 The hike ends at the Wat (Buddhist temple) nicknamed Doi Suthep. Take it all in, then trek back down the mountain for lunch. After lunch, it's off to Chiang Rai, where your next day of adventure will commence. Settle in for an afternoon of driving; getting between the two cities takes about 4.5 hours. 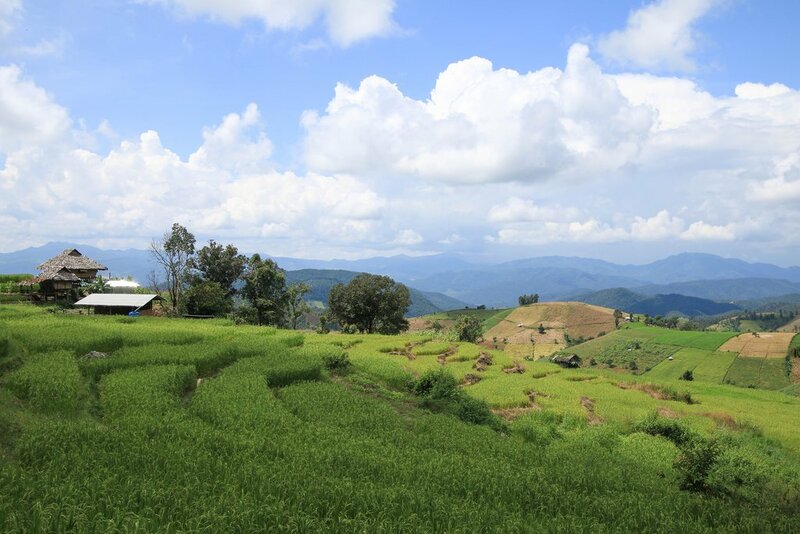 Your third day begins with a packed lunch and a partly scenic drive into the mountains from Chiang Rai to the Hmong village of Phu Chi Dao. 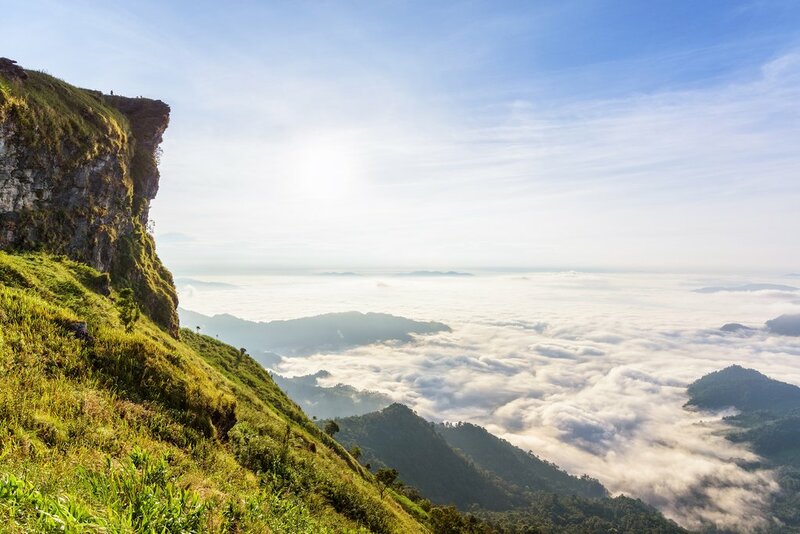 A local Hmong guide will lead you along the Phu Chi Fa escarpment that separates Thailand and Laos, with sweeping views of both. 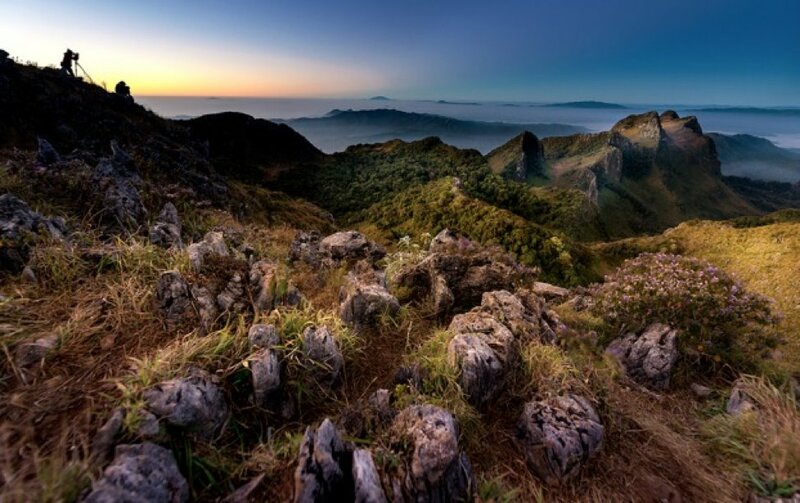 The trek winds up and down hills for 5.5 miles (9 kilometers), pausing to take in the dramatic views from a 2,297-foot (700-meter) vantage point (a good place to stop and have your packed lunch). After the trek, which should take about 4 hours, head back to your car and drive 2 hours to Chiang Kham to stay the night in a resort surrounded by rice paddies. 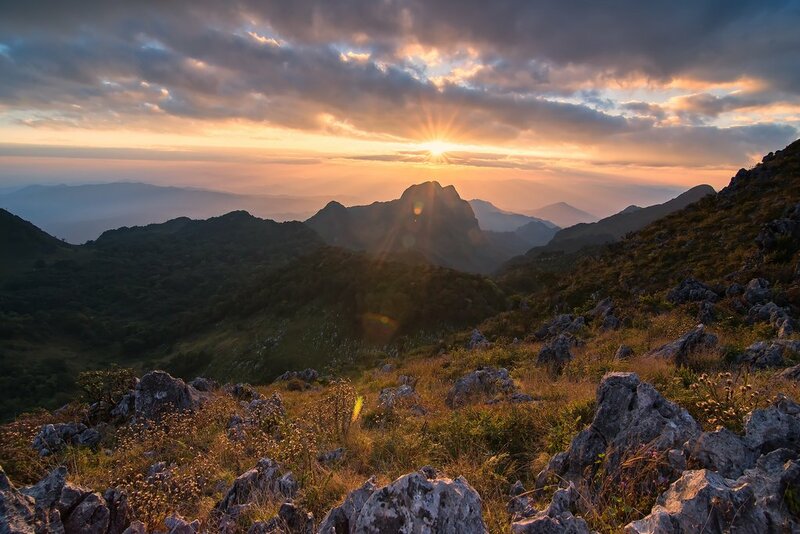 Today, pack a lunch again and venture back into the lush mountains separating Thailand and Laos, to an area of Payao and Nan Province seldom visited by travelers. It is home to the Yao and Hmong people, and many locals still live in wooden homes built on stilts high up in the hills. If you're lucky, you might stumble upon women working colorful magic on a traditional loom or catch a glimpse of workers quietly tending rice paddies. 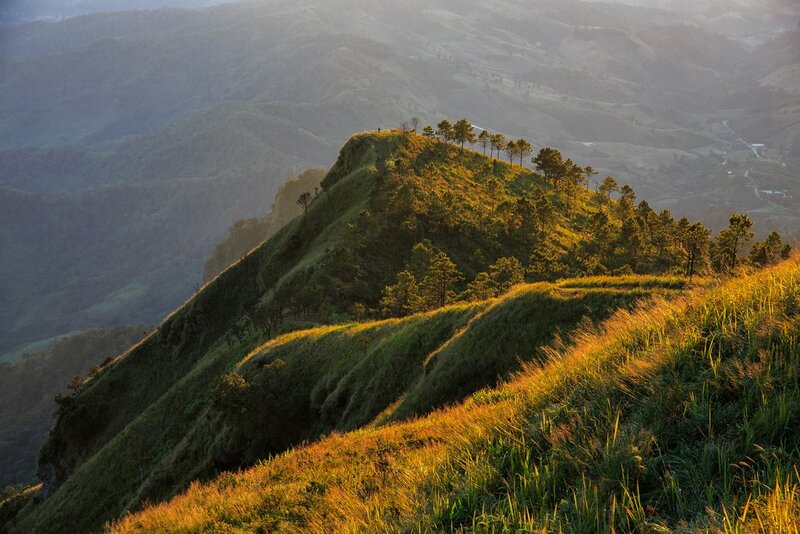 After a 2-hour drive to the trailhead, begin your climb up Phu Lanka Mountain, where a 2.5-hour uphill trek through lush greenery rewards you with sweeping views. Pause at the summit for a picnic before taking the path back down to your car. Still feeling exhilarated? Another morning walk awaits on your fifth day in Thailand, this time up among the terraced rice paddies east of Chiang Khan. Following a dirt road as it winds through small villages, today's hike is easier than those that came before but offers more than its fair share of interesting scenery - so don't forget your camera. 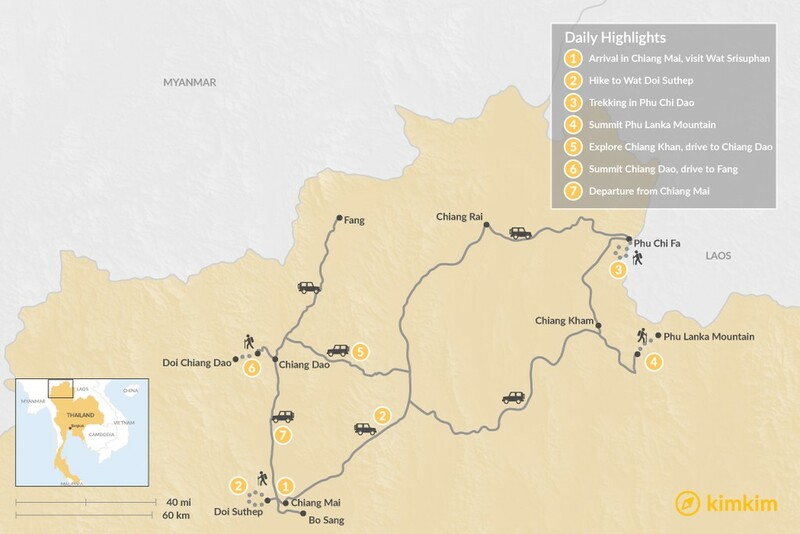 After lunch, drive to Chiang Dao for an overnight near the national park and the third highest peak in Thailand. 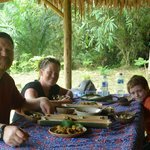 On the last day of your Thai trekking adventure, the third highest mountain the country awaits (or, for those who prefer a less challenging hike, the bamboo forest in the foothills). Drive to the trailhead to summit Doi Chiang Dao. Be prepared for a fair amount of scree (loose small stones) and several places where you'll need to hike around a rock outcropping. But all that extra effort is worth the unfettered 360-degree view that will end your trek on a high note. When you're done soaking it all in, return the way you came and drive on to the town of Fang. Stay in a local, modern guesthouse. On your final morning in Thailand, a 4-hour drive will take you back to busy Chiang Mai to catch your flight. If you have a little extra time, consider a Thai massage, cooking class, or a trip south of town to the Ob Khan Gorge.